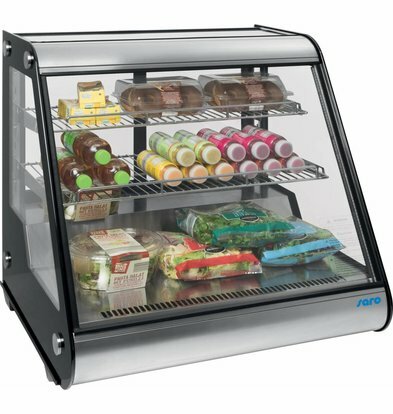 Design coolers are used in variety of hospitality environments, from large to small. 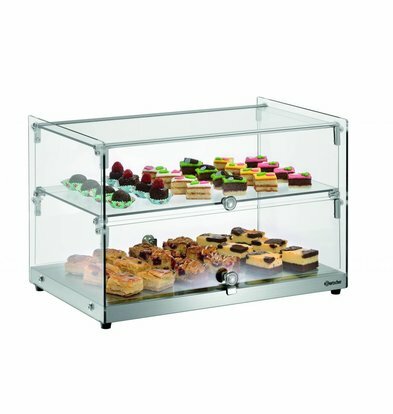 The advantage of a tabletop Counter is that it is easy to place on gantries, counters and tables and can therefore be put at the correct height. 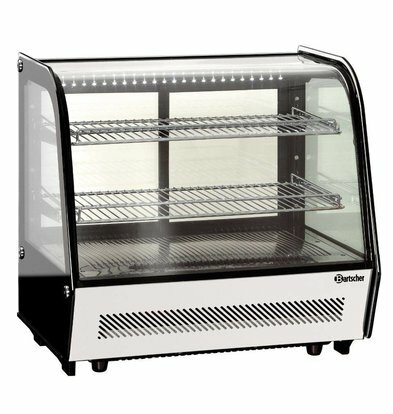 Deliberately showcases and tabletop showcases Bartscher, CaterCool and Polar, XXLhoreca has everything for every bar owner or shopkeeper who want products in an original way to present to the customer. 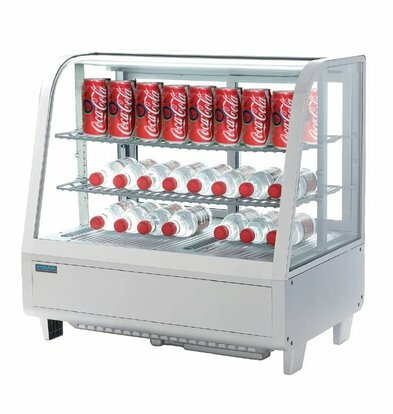 You can choose from different brands, content and cooling capacity. 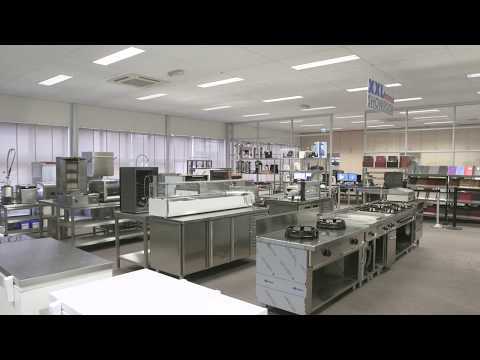 We deliver our design showcases within 48 hours throughout the Netherlands, including a minimum warranty of 1 or even 2 years. 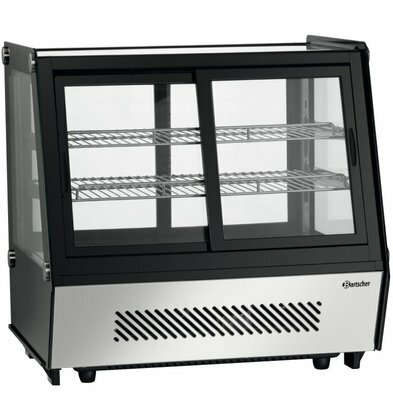 Want to know more about the structure coolers and table models XXLhoreca? 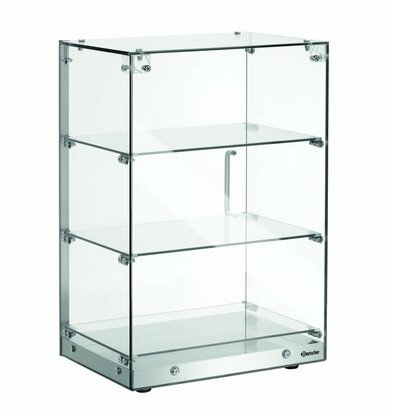 Call our customer service. 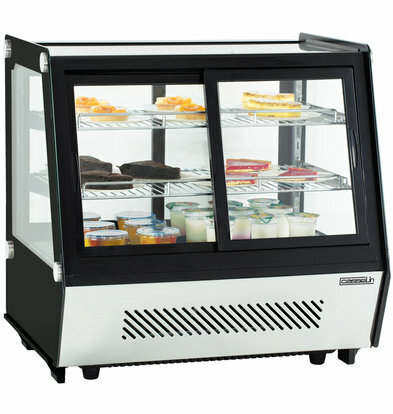 A simple and decent example is a tabletop design chiller cabinet Polar. 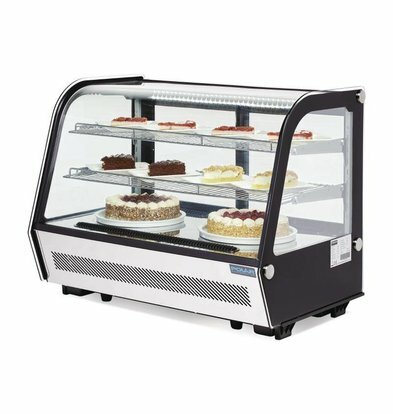 By his black, not too robust design and its small size, this is the table model that especially in the smaller catering establishments fine comes into its own. 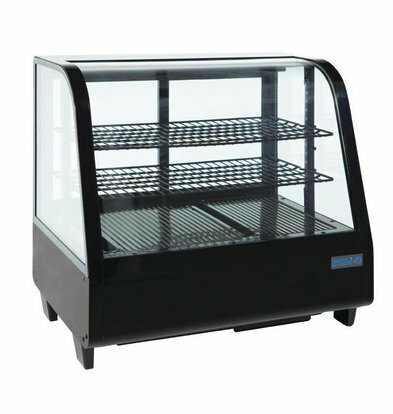 With a capacity of 100 liters and an excellent temperature range, this is an excellent product of Polar. 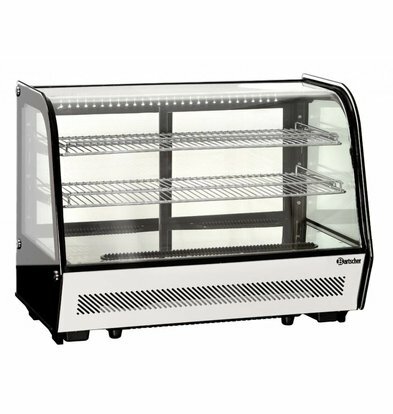 The setup display cases and tabletop showcases XXLhoreca to deliver within 48 hours throughout the Netherlands and come standard with 1 or even 2-year warranty. 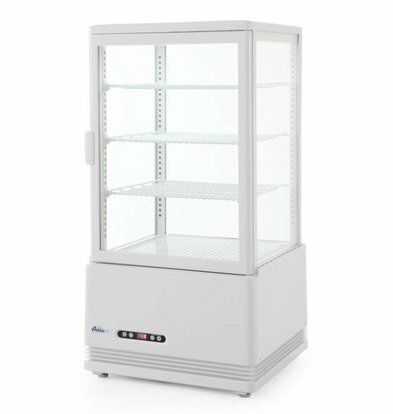 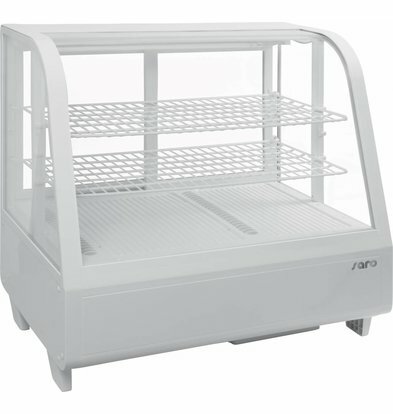 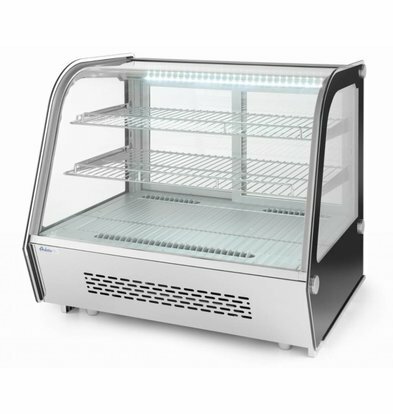 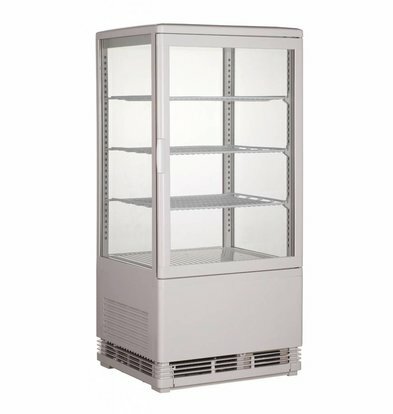 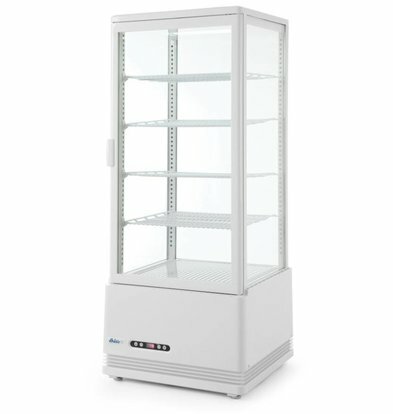 Tabletop design Refrigerated display case - White - 100 Liter - 68x45x (h) 67cm - XXL OFFER! 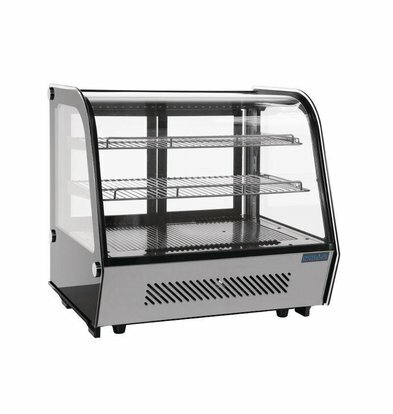 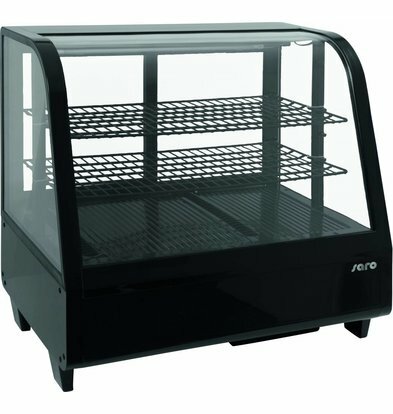 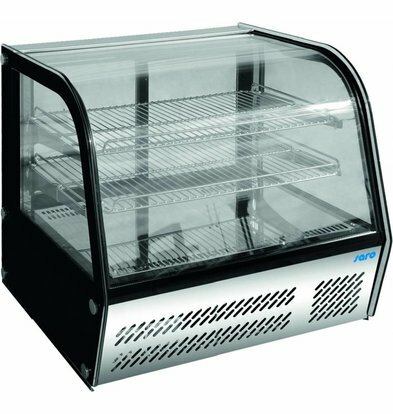 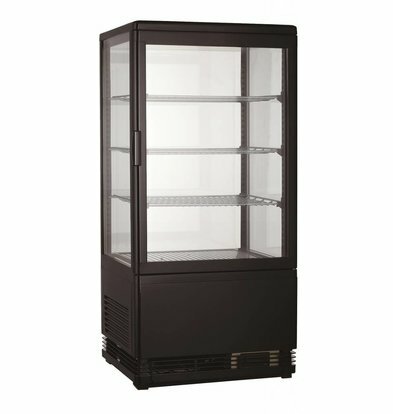 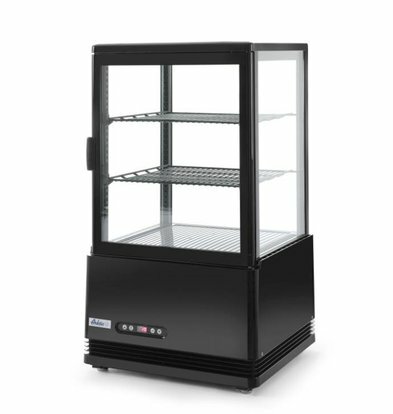 Tabletop design Refrigerated display case - black - 100 Liter - 68x45x (h) 67cm - XXL OFFER!